The CedarShed Banff Shed is our favorite wood shed, but it comes with a few warnings. The number one being the 1 year warranty. Anything made of wood means lots of year round work. From staining, sealing and replacement of wood slats. This might be more of a commitment than you're looking for in a shed. The 6x3 Banff Cedar Shed Kit comes unfinished, but can be painted, stained, or left to weather naturally, depending on your preference. If left to weather naturally, wood becomes a neutral gray tone over time. Semi solid decking/siding stains will preserve grain tone and protect against gray fade. Stains are absorbed by the wood so there is no surface flaking, and they can be chosen in a wide range of colors to match other structures. 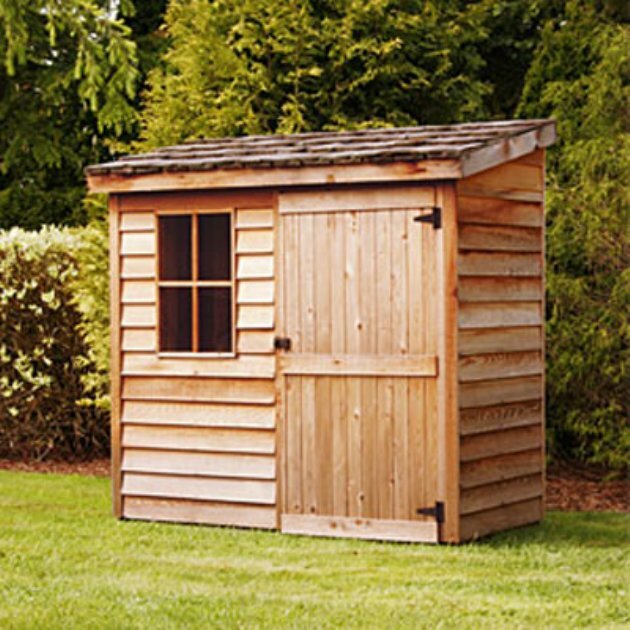 Initially this could be stronger than your average shed but over time will become weaker and less attractive.